Looking for a roofer in Clearwater? Look no further. 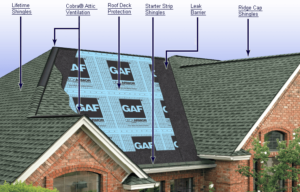 Lambert Roofing of Clearwater has been helping home and business owners in Tampa Bay since 1992. Our highly skilled team can have your roof repaired or replaced quickly and affordably. Florida weather can go from great to bad in a matter of seconds. Damaged or old shingles and tiles can allow water in and turn a small leak into a huge headache. At Lambert’s, we offer Free Estimates on our work and can provide references upon request. We are licensed and insured and a proud member of the National Contractors Association. Roofing companies come and go every rainy season. Only the best are available year after year once they’ve proven themselves and their work. We are one of the top roofers in Clearwater. Our company takes pride in the work we do and know how important your home and family’s well-being are. Again, we gladly provide references of our work. Call today for a free estimate 727-475-1658. At Lambert Roofing Services, we stand behind our work 100%. We appreciate honesty and integrety and know you do too. We pledge to make your new roof installation or repair experience with us the best possible.